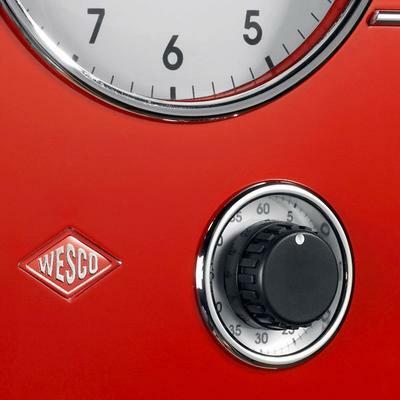 The Wesco Classic Line Kitchen Clock echoes a beautiful vintage touch that you'd love having it for pure aesthetic reasons! Crafted using high quality materials. you can bet this little clock will last a long time. 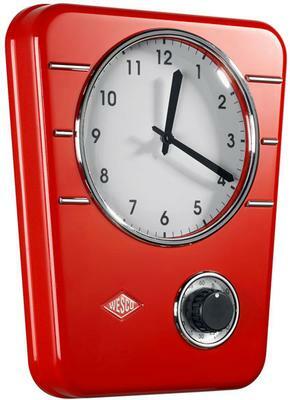 Inspired by classic 50s diner clocks, it comes with a sleek lines and combines a red and chrome finish. The clock at the centre is pretty simple but it does a great job at telling time. Right at the bottom portion there's a neat kitchen timer incorporated so you can keep track of what you're cooking.